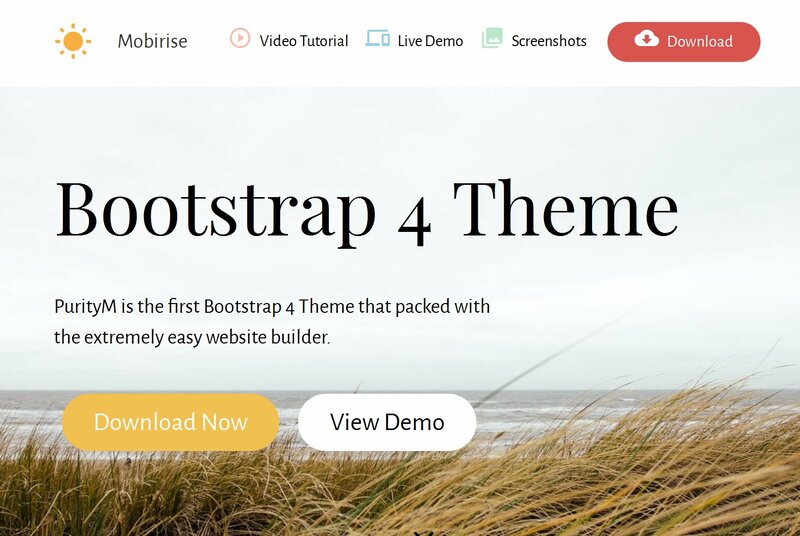 Netherlands - February 5, 2016 – Mobirise Website Builder has announced the first website theme based on latest Bootstrap 4 alpha 2. Mobirise Website Builder helps the non-coders to create a mobile-optimized, trendy website. The latest release comes with an experimental Bootstrap 4 theme with a light, responsive layout that can be applied to any type of website. 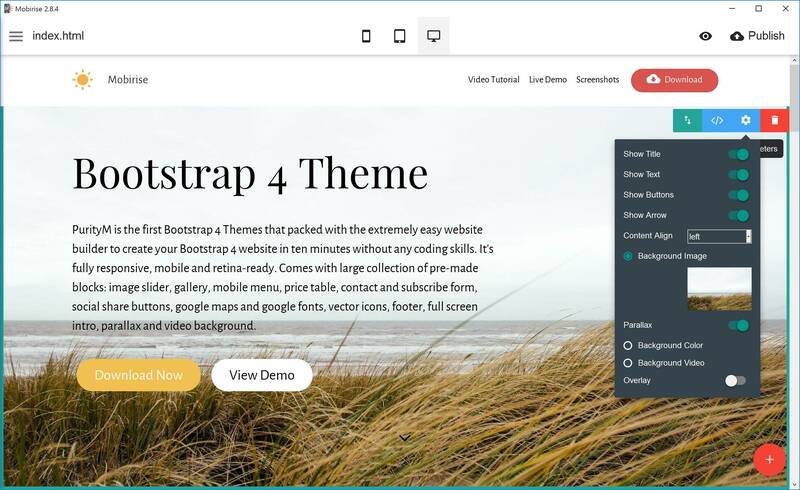 "Understanding that today’s users want to implement the latest, cutting-edge technologies and frameworks on their websites, we’ve added the first Bootstrap 4 theme to our website builder," says Jorgen Bart, Product Director. "This theme falls in line with our goal of providing one of the world’s best, easy-to-use website builders on the market." In the fast-paced, internet-centered world, efficient and reliable websites are a must for businesses, creative professionals, and a ton of other different entities and types of people interested in maximizing their product, service, or content’s exposure. Anyone who attempts to find success today with the assistance of a poorly designed site or no site at all will have tremendous difficulty. But to create a reliable website that truly furthers the represented professional, company, or content -requires an intricate knowledge of coding, design, and computer information or ample funds to hire a professional who does possess this knowledge. At least it did until Mobirise came around. The Mobirise has been developed so that users without any web-developing background can make a website out-of-the-box with no coding involved whatsoever. Websites created with Mobirise will look modern, stylish and have the features and options of more expensive websites built by pro developers. The new, fully responsive and retina-ready Bootstrap 4 theme comes with a big set of pre-made blocks: image slideshow, contact form, social share buttons, mobile menu, google maps, vector icons, price table, footer, video and parallax background, article, blog, feedback, buttons, lightbox gallery, google fonts, full screen intro and more.